duncanidaho, Hyperwarp, Equation and 2 others like this. pashah., Hendrik_2000, Iron Man and 5 others like this. Ok..I searched and I searched for a VIDEO of a Type 726 entering or leaving a well deck. I could not find one. I also looked for a photo of a Type 726 actually in the well deck of a Type 071 LPD. I saw two photos that were supposed to be aboard a Type 071 LPD.. 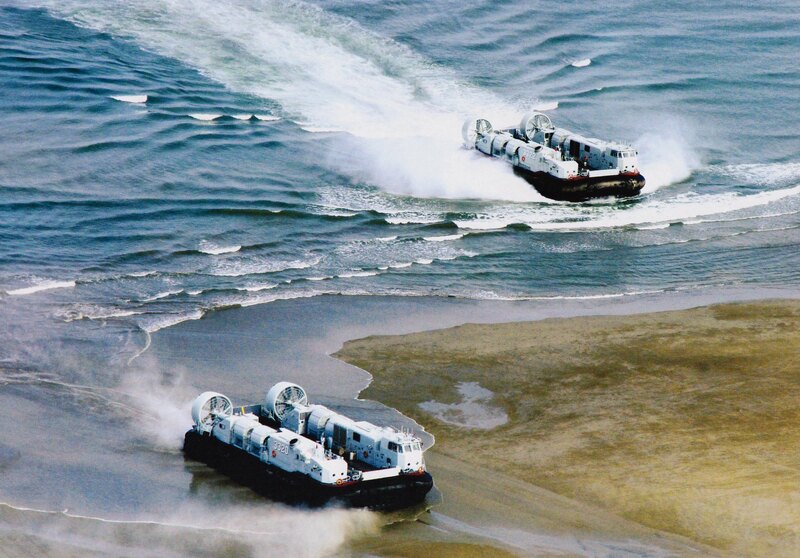 But upon close examination one was a USN LCAC and the other was Japanese. DGBJCLAU, antiterror13, mys_721tx and 1 other person like this. How old is this photo? Are there any other photos? I'd like to see them. Where are my PLAN shipmates? Not a single sailor in sight. Not one. Also an USN San Antonio class LPD is slightly larger than the Type 071 PLAN LPD. Correct? Why does there appear to be three LCACs in the well deck? I see three sets of fan blades. And the official capacity of the 071 is two LCACs. Same as an San Antonio class LPD. The PLAN Type 726 LCAC and a USN LCAC are nearly identical in size. So how did the PLAN squeeze three LCACs in the well deck of this ship? Or am I not seeing this photo correctly?.. Actually, the official capacity of the 071 is FOUR 726s. What the 071 design has sacrificed is cargo hold space in exchange for more rapid deployment of assets. I have no doubt that the much more limited lifting capabilities of the 726 compared to the LCAC also factor into this. DGBJCLAU and bd popeye like this. Ok...in this video at 9:30 you can see the LCAC approaching the LPD well deck. But you do not see it enter. Then at 9:33 you can clearly see the LCAC in the well deck. But the well deck is bone dry. The photo may have been taken in port. Thank you. I did not know that. So the 071 class LPD well deck is longer than the USN version. Thanks for that information. I found this cutaway rendering posted by asif iqbal back in 2013. DGBJCLAU and asif iqbal like this.